The wait is over. 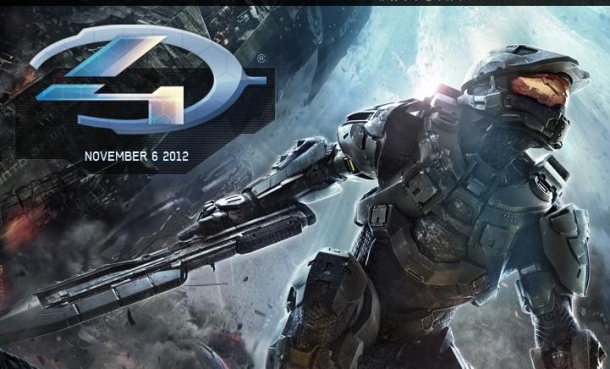 Halo 4 is finally here and it was more than worth the wait. And where the HELL do I begin?! 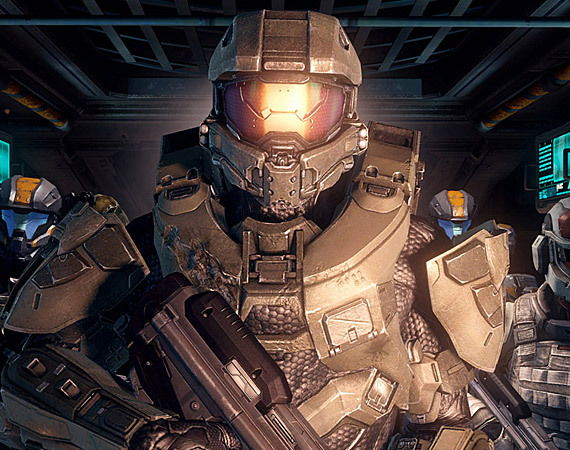 Halo 4 picks up where Halo 3 left off. 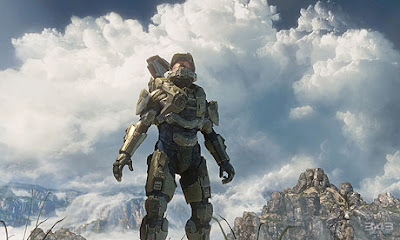 Master Chief is floating aimless like through space aboard a ship that's be torn nearly in half. In chryosleep, his companion artificial intelligence Cortana watches over him until someone, or something finds the desolate ship and breeches its quarters. A rogue fleet of the covenant, a group of alien races that have false religious beliefs about ancient architectures strewn out within the Milky Way galaxy. They hold Master Chief responsible for their failure prophecies and the destruction of their master plans to unknowingly unleash a plague known as the flood throughout the universe. They want nothing more than Chief's head and they will stop at nothing to get it, despite the truce between covenant forces and mankind. But there is more to the story. We find our lovely blue naked A.I. Cortana seemingly damaged. Something just doesn't seem right with her. As previously mentions in past Halo titles, A.I. lifeforms only have a lifespan of 7 years before they learn and think themselves into insanity. It has been 8 years since Cortana's creation. And the inevitable has begun. Our duo finds their self floating toward a strange metal planet. A planet that was built by the Forerunners, much like the Halo rings. And on this metal planet, an ancient evil villain is imprisoned. Who is he? What are his intentions? The most logical answer to these questions is "WHO CARES, HE'S EVIL! DUH! WE GOTTA KILL THAT MUHFUGGER!" After Halo: Reach, Bungie announced that they were leaving the Halo franchise in the hands of 343 Industries. This worried fans of the series. Could another company really continue to make such quality games with solid story and action packed gameplay? Well, to prove their worthiness, 343 Industries released a HD release of Halo Combat Evolved, the first in the series. They definitely proved that they could pull off an incredible upgrade in terms of graphics, but they brought nothing new to the table in terms of gameplay. So people continued to worry. Unit the release of their first teaser trailer. The initial teaser trailer blew people away. But it was just a trailer. Sure the graphics looked great, but it showed no actual gameplay. Then, they start releasing live action trailers for the game. This is never a good sign in my opinion. If you're showing all of these trailers with no actual preview of the game you're advertising, to me it means you have nothing of value to show. When actual gameplay was shown for Halo 4, I had no words. The graphics were flawless. I mean, you can't even tell that what you're seeing isn't real. The live action trailers were now justified. It was only a matter of time until the game came out and I could finally get my hands on it. The game was completely rebuilt from the ground up. The landscapes are absolutely stunning. The sounds of the guns have a heavier sound. The quality of the new weapons and the amount of weapons total leave you never empty handed. Brand new armor abilities. Custom loadouts... Everything seems incredibly polished. I can't imagine the budget they had to make this game. The multiplayer has a few new twists to it. With the new Call of Duty type points rewards and the ability to call ordinance perks. New game modes (though I'm kind of disappointed that Swat was taken away. I'm best at headshots.) and even new vehicles, like the new mech suit. The higher you rank, the more weapons and perks you unlock for your custom loadouts. There is not a single complaint I have about this game. I can barely keep my eyes open as I type this, but I can say without a doubt that this is the BEST first person shooter I've ever played and one of the best games I've ever played in my entire life. Outstanding. I can't wait to see the sequel. 10/10 I would most certainly bang. Time to impress, COD. You have a tough match to follow up.